Brilliant experience! I would highly recommend staying here :) beautiful location overlooking a small bay on one side and marina on the other! 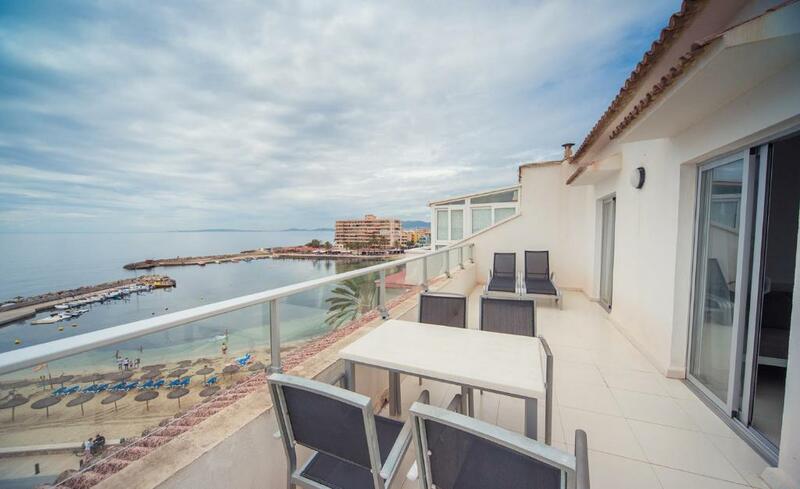 Totally south facing - get a balcony overlooking the sea and just chill! Nothing elaborate, simple clean and tidy..communal laundry - dryer wasn't working.. didn't matter to me, balcony was hot!! The location on the water was amazing. I also enjoyed having a balcony to relax while listening to the waves. The location is great - very close to the sea and the airport. The apartment was very clean and comfortable. The gentleman at the reception was friendly and helpful. There's also parkings close and a possibility to park a car on a street nearby. Location is great and you feel like at home. Even wine openers in place! Recived discount on bike hire and car hire through embart. 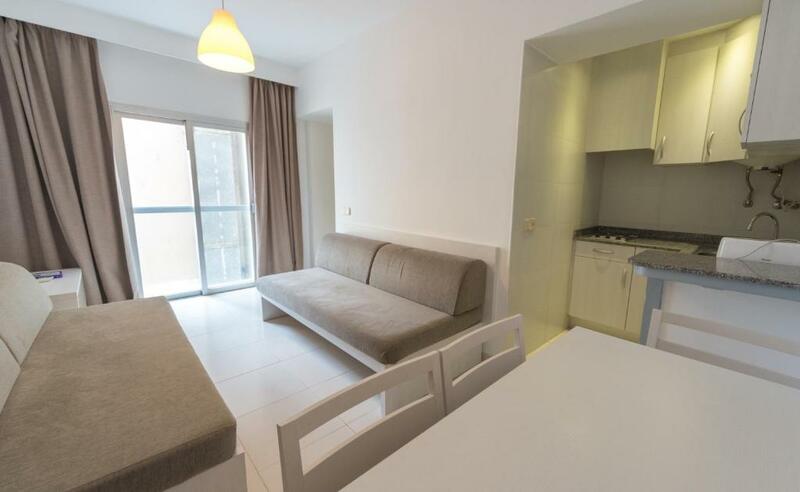 The apartment is very nice, location was brilliant and close to airport!! Sea view is wonderful and thoroughly enjoyed!! The room was beautiful and the balcony was great. All the amenities were a bonus. 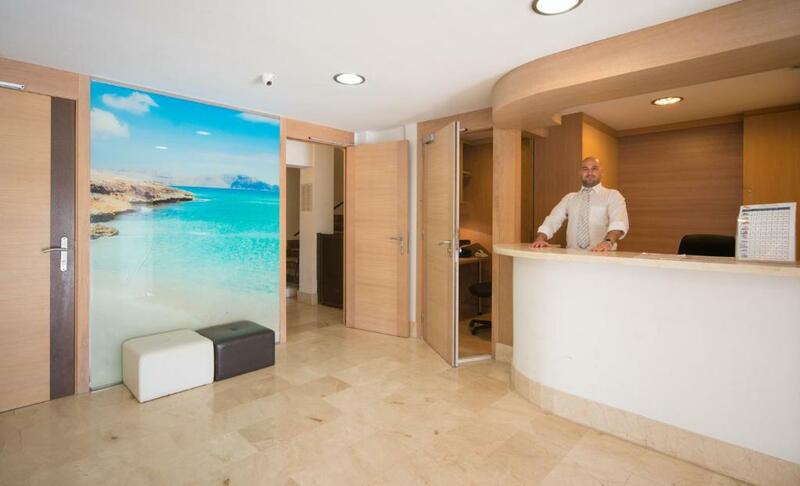 Apartamentos Embat This rating is a reflection of how the property compares to the industry standard when it comes to price, facilities and services available. It's based on a self-evaluation by the property. Use this rating to help choose your stay! One of our best sellers in Can Pastilla! The Apartaments Embat is just steps from the beach in the resort of Ca’n Pastilla, Mallorca. 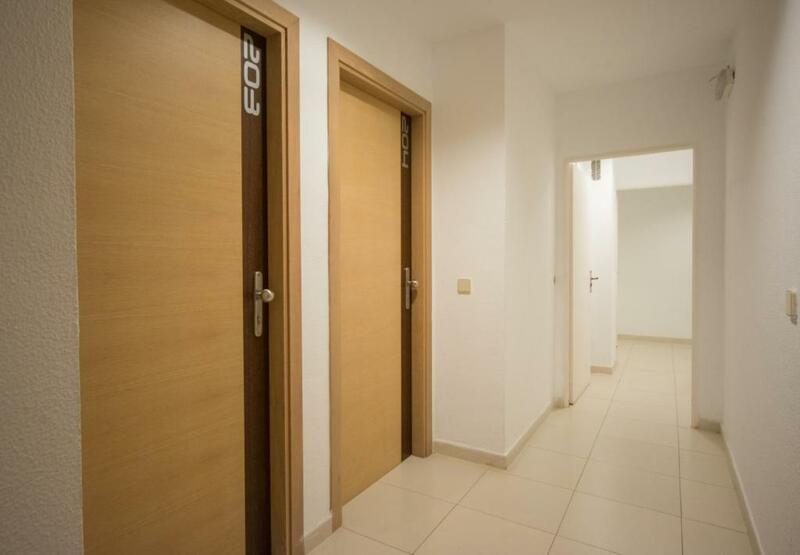 The apartments are a 5-minute drive from Son Sant Joan Airport. 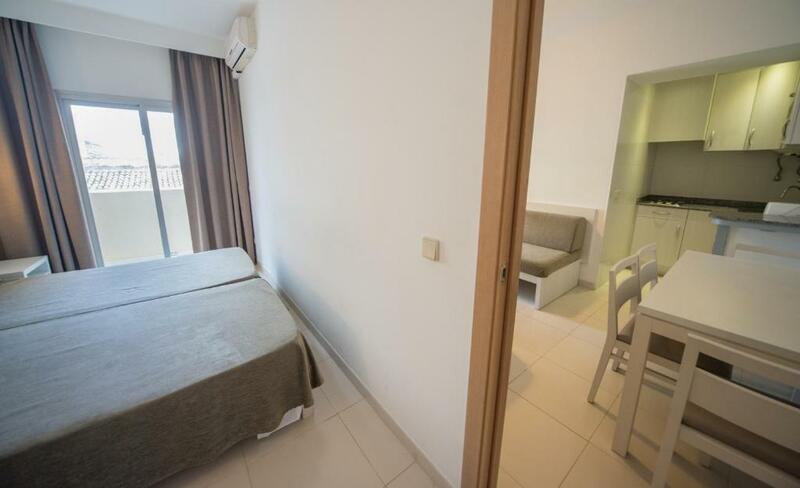 Guests at the Embat have a choice between apartments and studios, each with a terrace and some with sea views. All include a kitchen or kitchenette with a range of utensils. They are fully heated and air conditioned. Apartments come with a twin bedroom and a sofa bed in the living room, and studios have a sofa bed. There is satellite TV and a bathroom. 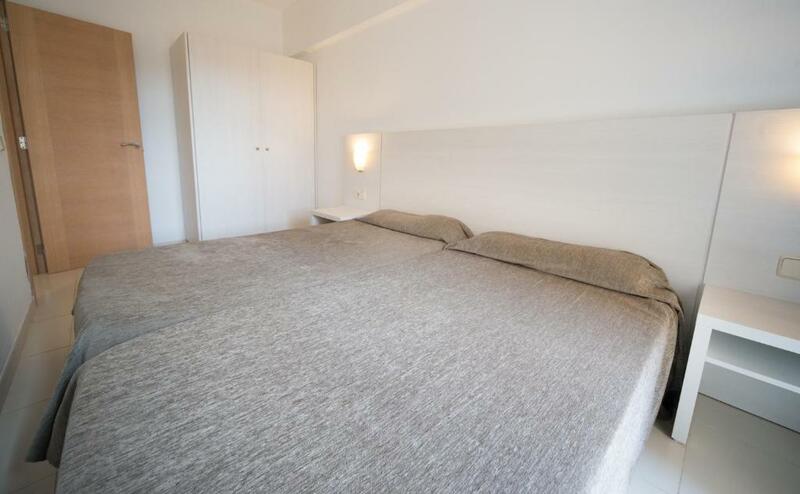 Embat offers easy access to Cala Estància Beach and Platja de Palma. The Sant Antoni Nautical Club is also nearby. 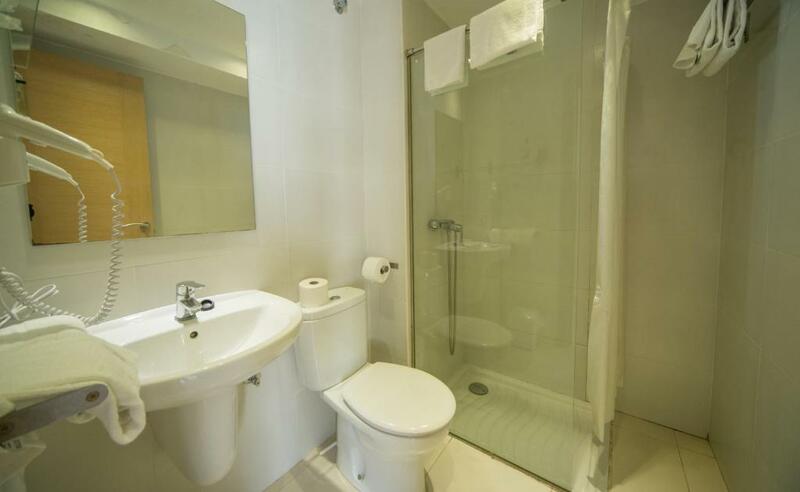 This property is also rated for the best value in Can Pastilla! Guests are getting more for their money when compared to other properties in this city. When would you like to stay at Apartamentos Embat? Features air conditioning, living room with sofa, satellite TV and safe. The kitchenette includes a microwave, a fridge and a coffee maker. This cozy, air-conditioned studio features a balcony with sea views. It has a lounge-diner with sofa, satellite TV and a safe, while the kitchenette includes microwave, fridge and coffee maker. This cozy, air-conditioned studio has a lounge-diner with sofa, satellite TV and a safe, while the kitchenette includes microwave, fridge and coffee maker. This cozy, air-conditioned apartment has a lounge-diner with sofa, satellite TV and a safe, while the kitchenette includes microwave, fridge and coffee maker. We are placed in C'an Pastilla, in palma suburbs, 7 km from the city centre. In the border of Cala Estancia Beach. We offer easy access to public transport, bars and restaurants, pharmacies, newsstand and other touristic services. House Rules Apartamentos Embat takes special requests – add in the next step! Euro 6000 Sistema 5B Apartamentos Embat accepts these cards and reserves the right to temporarily hold an amount prior to arrival. Apartamentos Embat accepts these cards and reserves the right to temporarily hold an amount prior to arrival. Please note the studios cannot accommodate an extra bed. Please inform Apartamentos Embat of your expected arrival time in advance. You can use the Special Requests box when booking, or contact the property directly using the contact details in your confirmation. It missed a reception area. The view is spectacular and the apartments were roomy. Floor cleaning in rooms could be better. Friendly staff and easy check-in and check-out. Located very nicely on beach. Great view with sunset and sunrise from terrace. Calm Environment, ideal for autonomous stay in the area. Public parking lot nearby. We booked 2 rooms with a sea view. We were given rooms with a dreadful view. 106 and 108. The next morning we noticed there was a room with a sea view vacant 101 and asked could we go in there. The receptionist ( a lady) told us we couldn’t because it had been booked the day before. We had booked our rooms months before plus we had two young children who had never been on holiday before and explained that to the lady. She said there was nothing she could do. I was very disappointed. Also the room between our two rooms 107 was occupied by noisy people. On Tuesday 10th April at 2am I had to ask the people in the room to be quiet. There was no staff there to go to under these circumstances which is quite inconvenient and I wasn’t sure what reaction I would get from the other guests. They were very drunk. The view from the balcony was amazing. The bed was very comfortable! It would be very appreciated if a washing-up liquid, a sponge to wash the dishes and bowls would be provided. Wifi wasn't the best at some times but it was usable. We were overall very happy with our stay, the room we stayed in looked as the pictures showed. Rooms are cleaned and towels are changed daily if asked for room service. No problems with checking in or out of a hotel. The kitchen had all the necessary equipment we needed, except those listed below. One of the sofas in the living room was converted into a bed and all the beds in the apartment were quite comfortable. 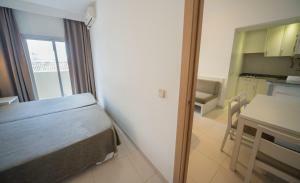 The location is also very good, right next to the beach and approximately 30 minutes by bus from Palma main bus station. Good location and nice Kate check out. Possible to walk to the airport within 35min. Good value for the price although I wouldn't stay here more then 2 days. No proper bed. Basically a bed settee which was really uncomfortable. Cheap and basic room adequate for our needs. Keys are given out in the 24/7 Casino next door. But there is no sign informing about it. Which is pretty confusing. Difficult to park if you have a car but then that's normal here!